ANNAPOLIS, Md. - A driver who struck and killed an assistant track coach at Annapolis High School who was bicycling last August has been fined $1,500 after being found guilty of three traffic offenses. 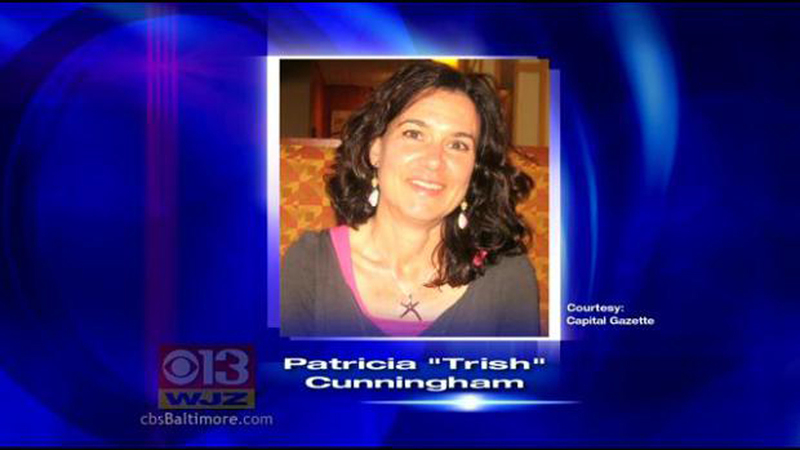 A grand jury declined to indict 37-year-old Whitnet Decesaris on criminal charges in the collision that killed 50-year-old Patricia Cunningham, a decision that surprised many people close to Cunningham, according to CBS Baltimore. Decesaris, of Calvert County, Md., was found guilty at a bench trial Wednesday in Anne Arundel District Court. Judge Robert Wilcox found Decesaris guilty of negligent driving, failure to exercise caution to avoid an accident with a bicyclist, and failure to control speed to avoid a collision. He imposed the maximum fine of $500 for each offense, and points on her license. Cunningham's family tells CBS Baltimore that the Anne Arundel County State's Attorney's Office could have worked harder to impose the more serious criminal charge of negligent manslaughter.